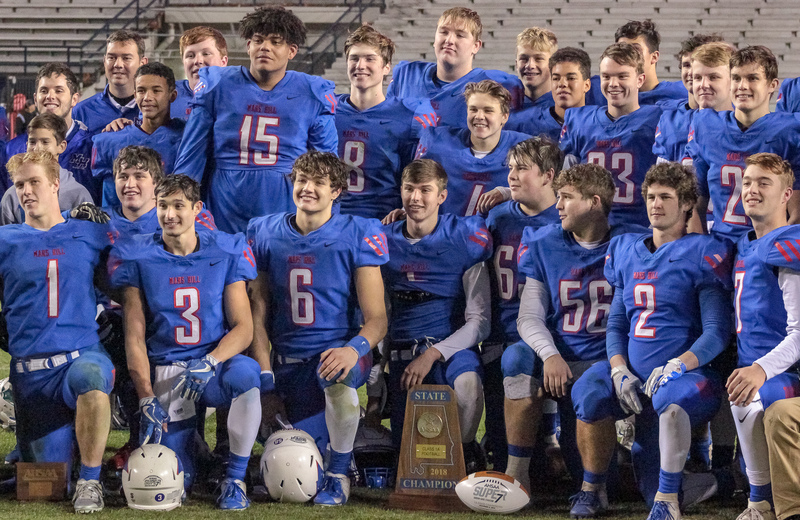 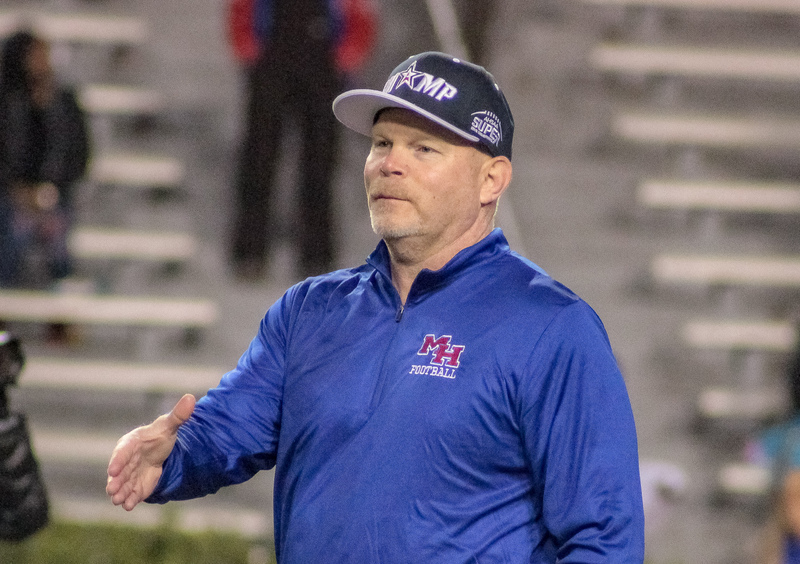 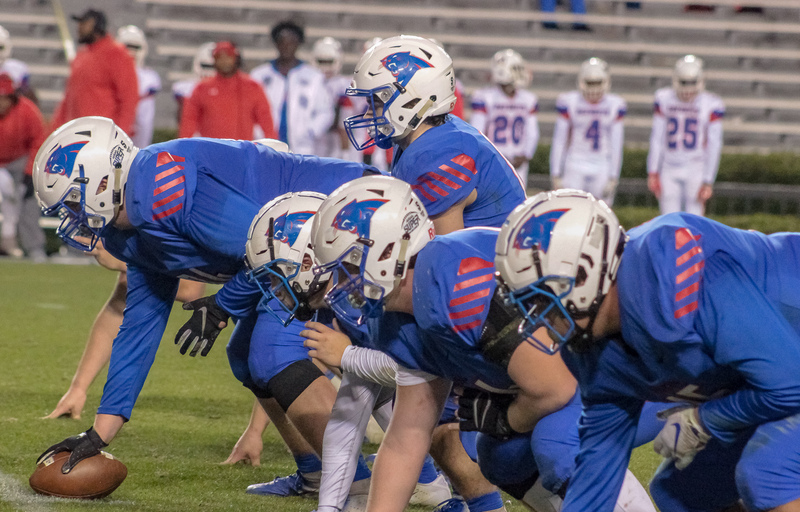 Auburn, AL – After only five years of AHSAA football the Mars Hill Bible School Panthers have staked their claim to a coveted blue map. 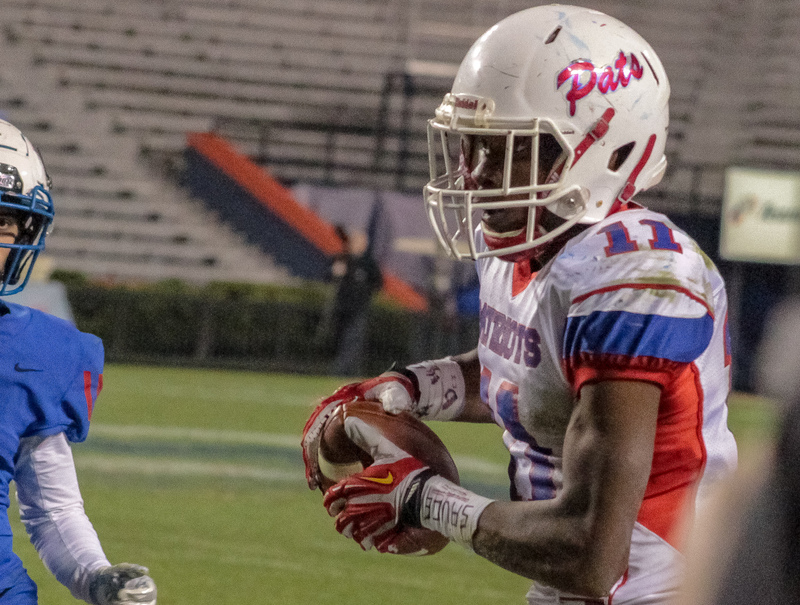 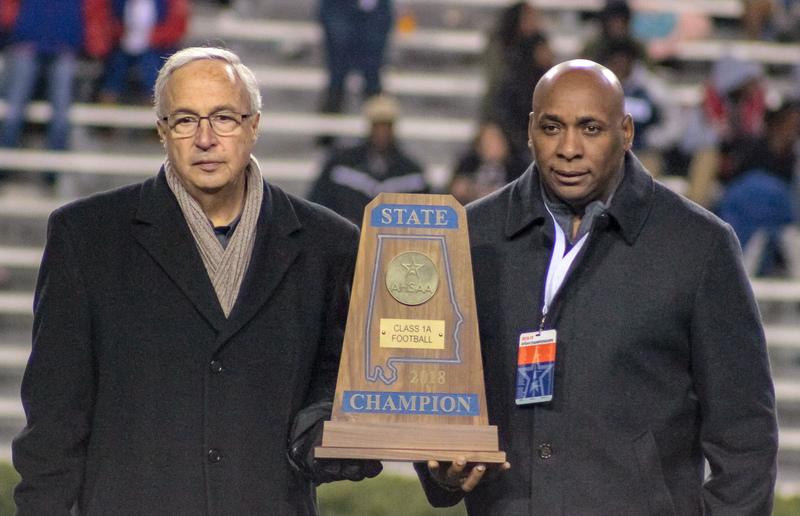 The Panthers knocked off Linden 53-26 to claim the 1A state title Thursday night at Jordan-Hare Stadium. 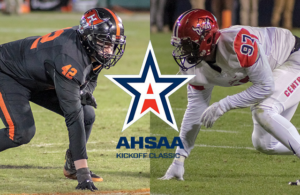 The contest set or tied 18 1A championship game records and broke the record for the longest pass reception in any classification. 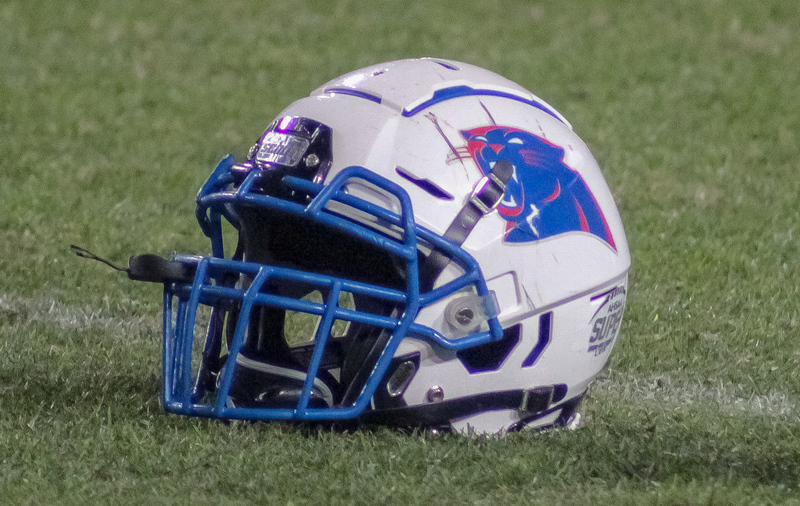 The Panthers lit up the scoreboard early as Colt Smith rushed for a 65 yard score 20 seconds into the contest. 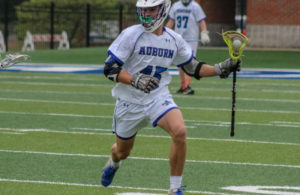 Six minutes later Smith scored the second of his six scores on the night, this one from the Linden 15. 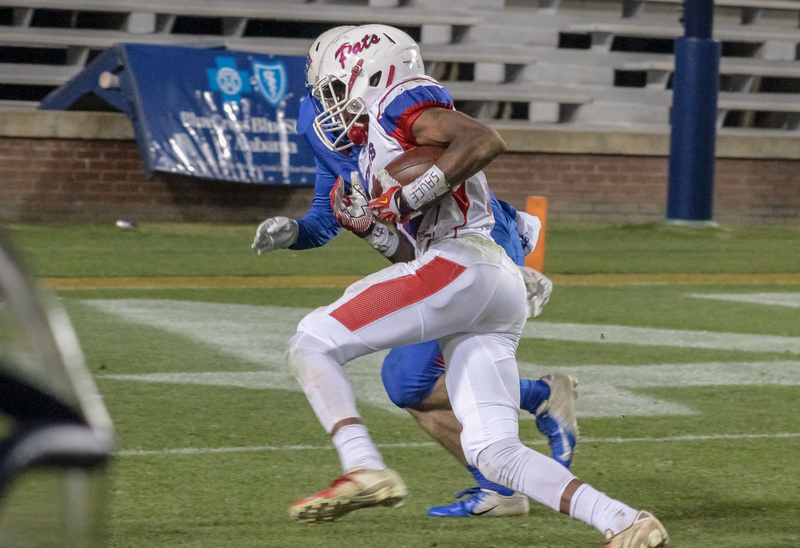 Justus McDaniel took his turn crossing the goal line next bolting into the endzone from just inside the Patriot 10 with 4:40 remaining before the break. 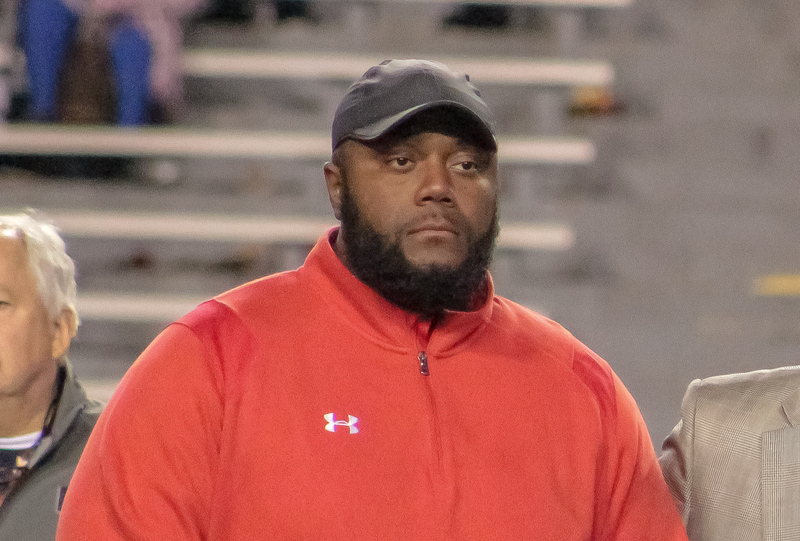 Two minutes later Linden got on the board as Joshua Williams hauled in a two yard Graderius Brown touchdown strike. 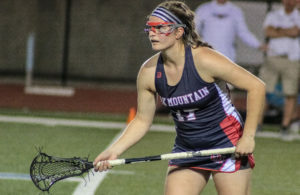 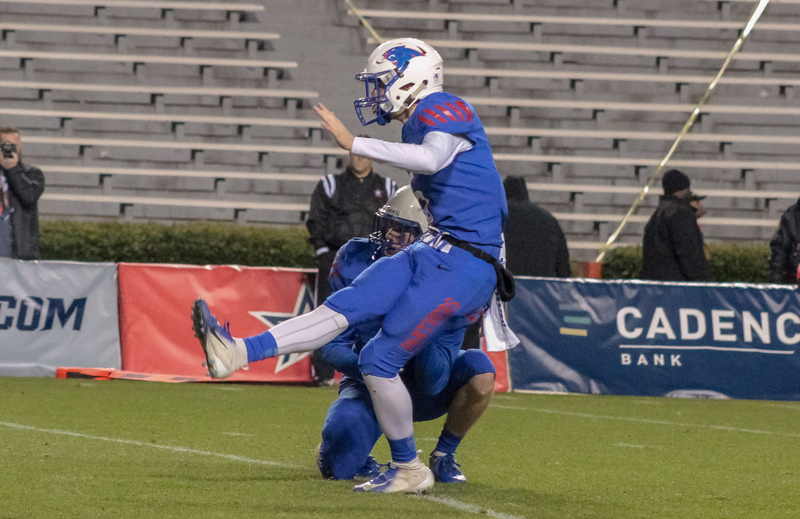 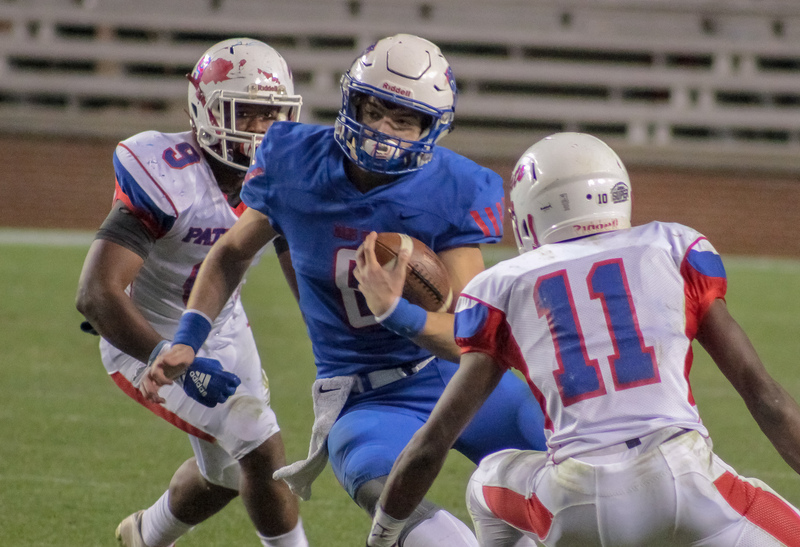 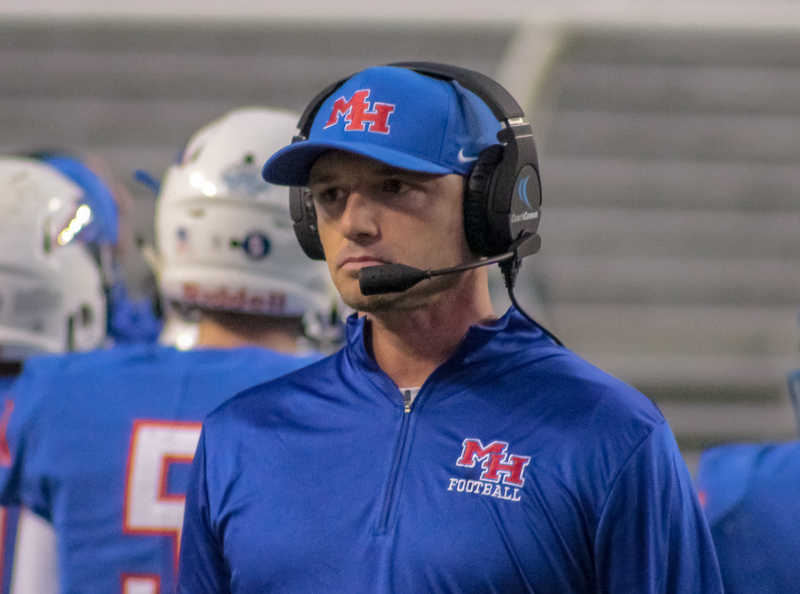 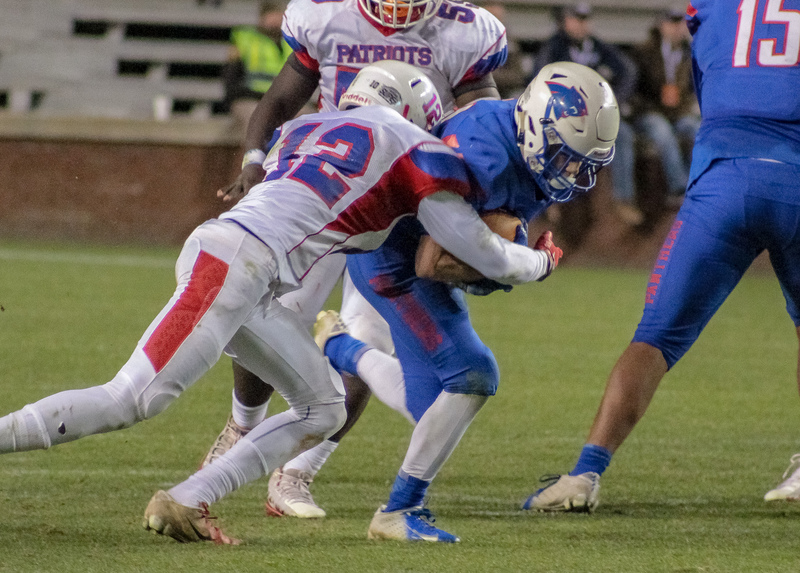 The score pulled the Patriots within a pair of scores before Lan Whiteside capped a late quarter Mars Hill drive with a five yard dive into the endzone. 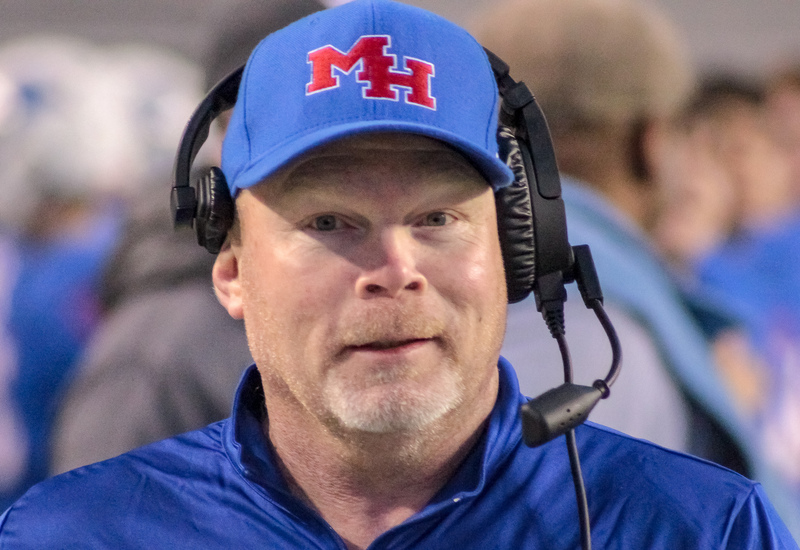 Mars Hill carried a commanding 26-6 advantage into the locker room. 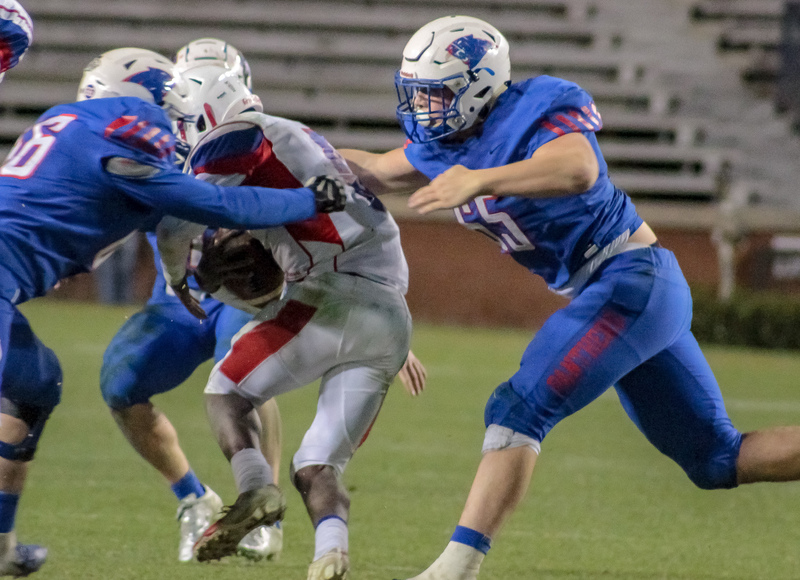 Midway through the third, Mars Hill’s Joseph Hanson picked off a Graderius Brown pass, retiring it 25 yards into the endzone, extending the Panther lead to 26 points. 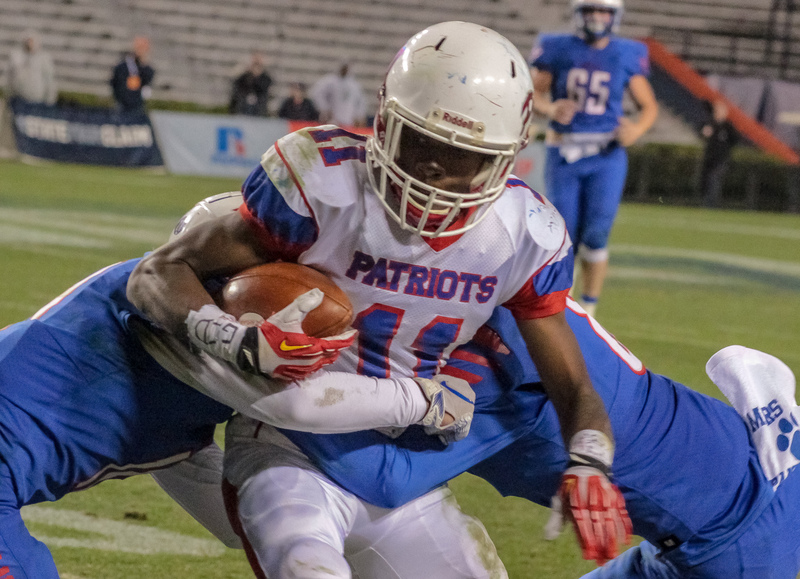 On the Patriots next possession speedster Kevin Green pulled down a Brown pass for a 10 yard score. 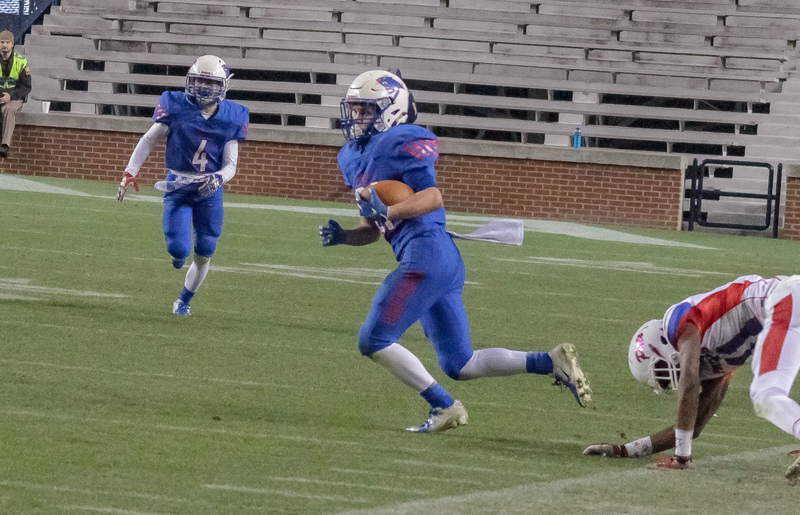 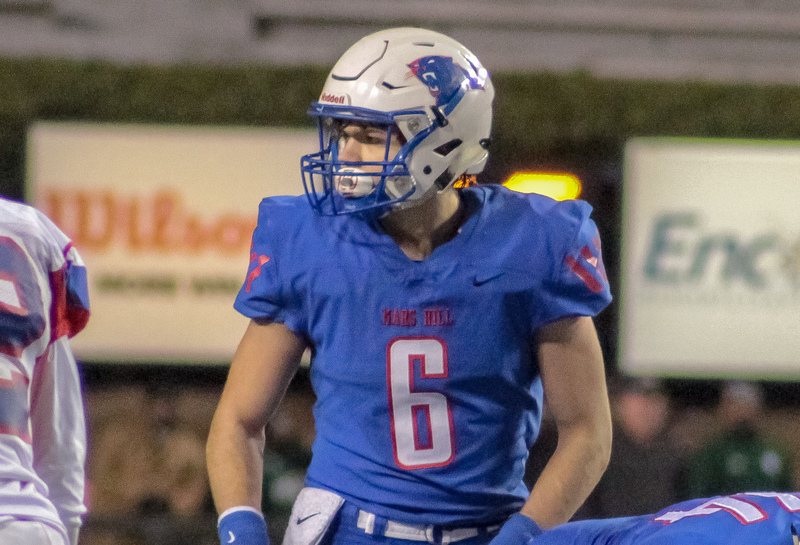 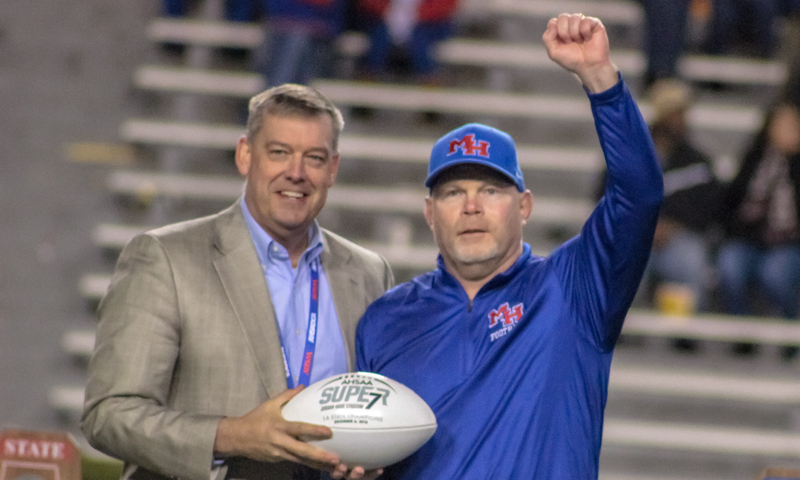 Mars Hill returned the favor five minutes later as Colt Smith found the endzone for the third time, this time from the Patriot 25. 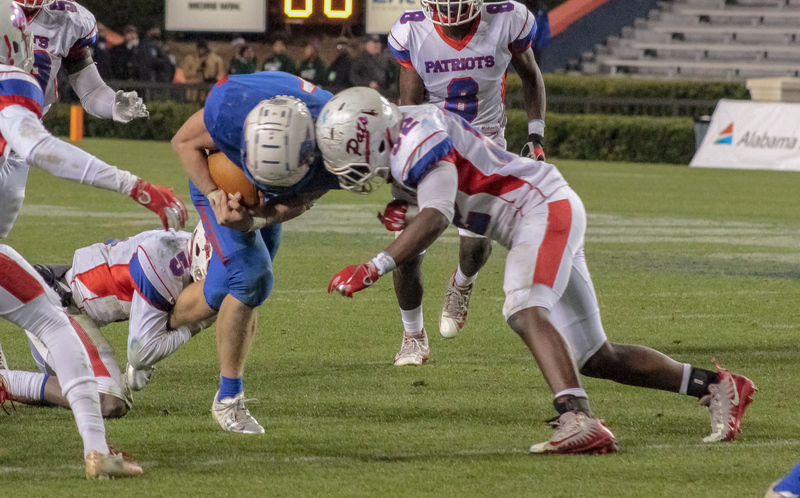 Brown and Green linked up again 16 seconds later with a electric 85 yard pitch and catch inching the Patriots a little closer as time expired on the third quarter. 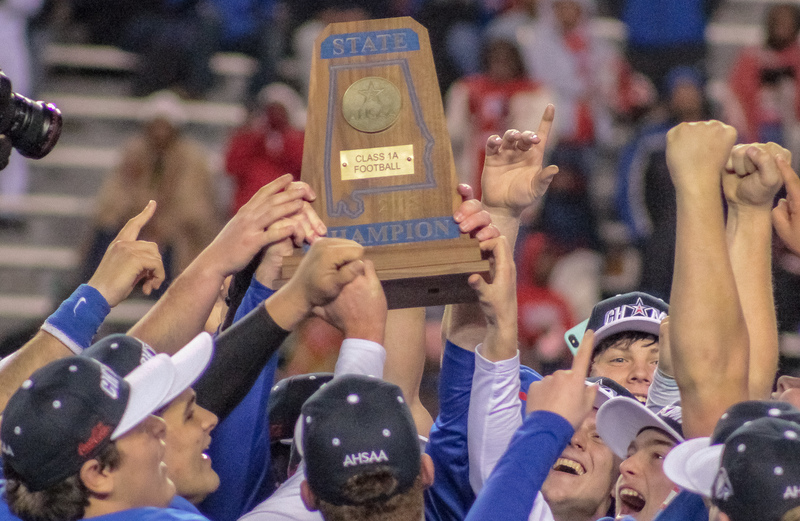 The catch set a new Super 7 record for the longest pass reception in a championship game in any classification. 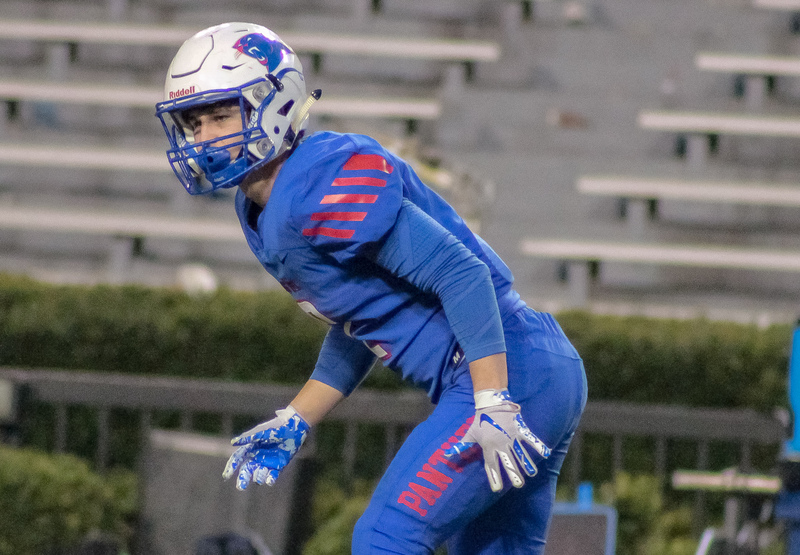 Early in the final stanza Colt Smith capped a Panther drive with a 36 yard score, this one on a pass play from Joseph Hanson. 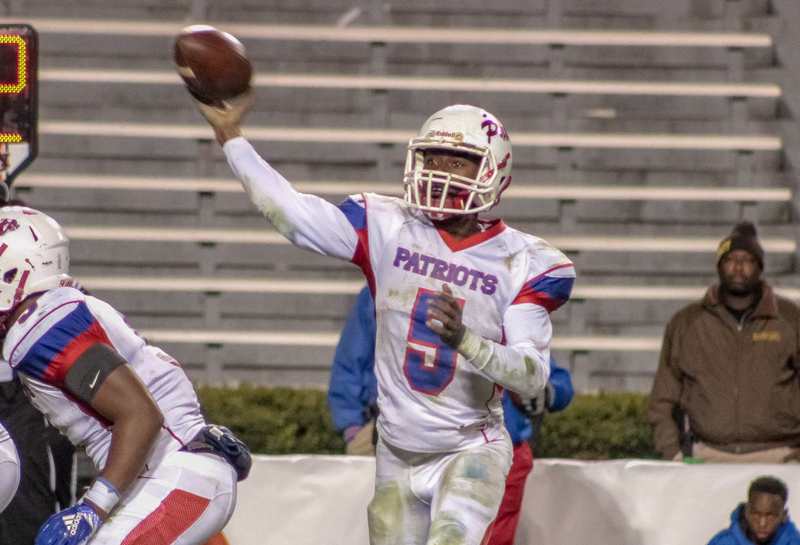 On Linden’s next possession Brown and Green got together for the third time in the second half putting a lid on the Patriots night offensively with an 8 yard touchdown toss. 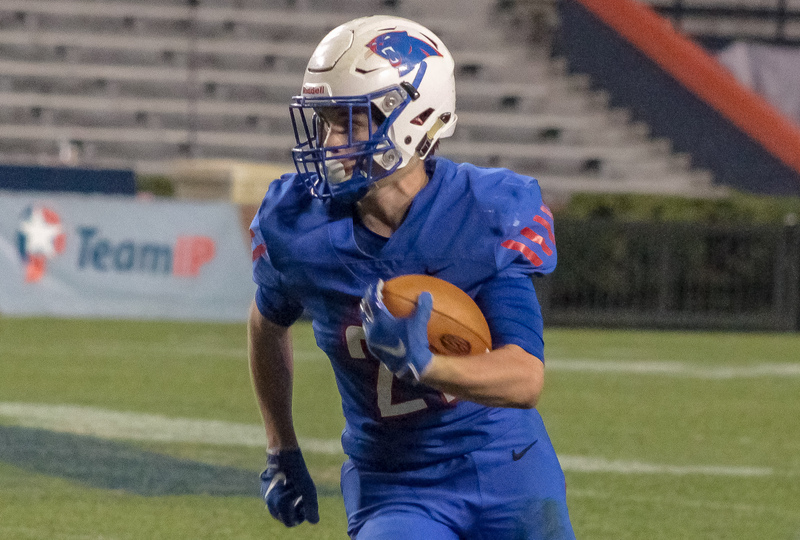 Championship game Most Valuable Player Colt Smith crossed the goal line for the fifth time of the night, this time on defense picking off a Graderius Brown pass and bolting in from 35 yards out. 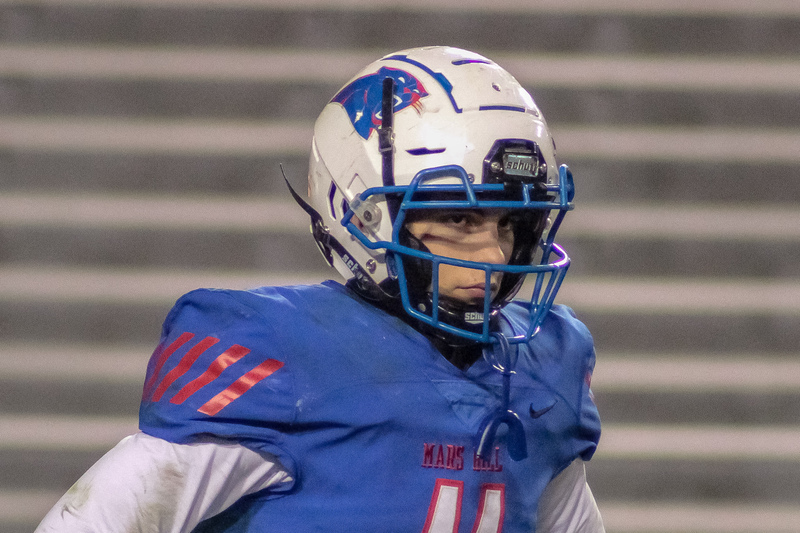 Mars Hill signal caller Joseph Hanson finished the night with 124 yards through the air, completing 7 of 9 passes and a score. 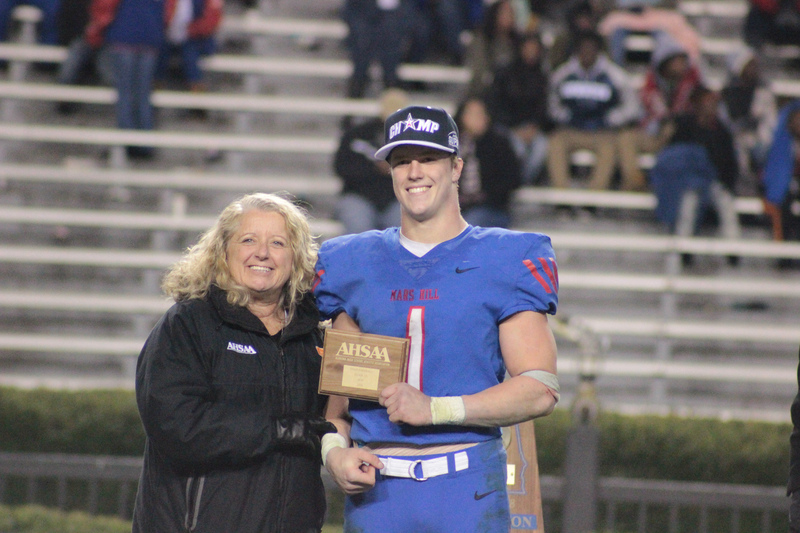 Championship game MVP Colt Smith lead the Panthers offense in rushing and receiving. 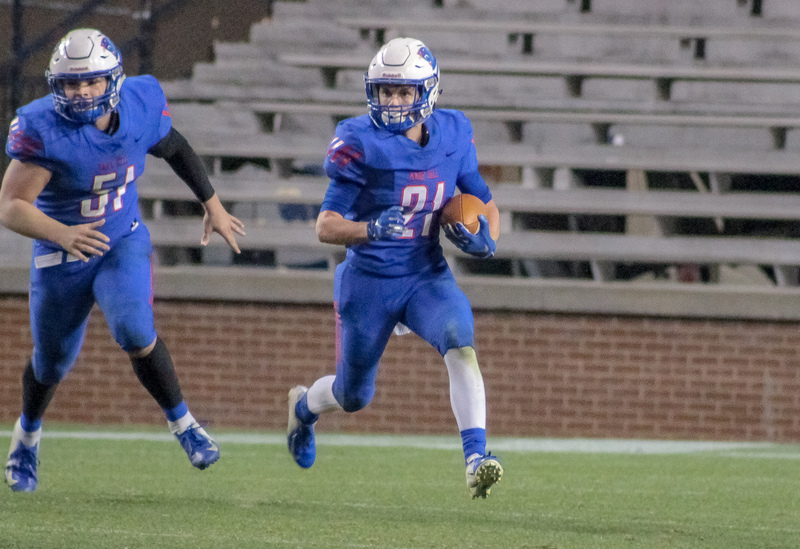 He ran for 168 yards and three touchdowns on 17 carries while hauling in three catches for 63 yards and a score. 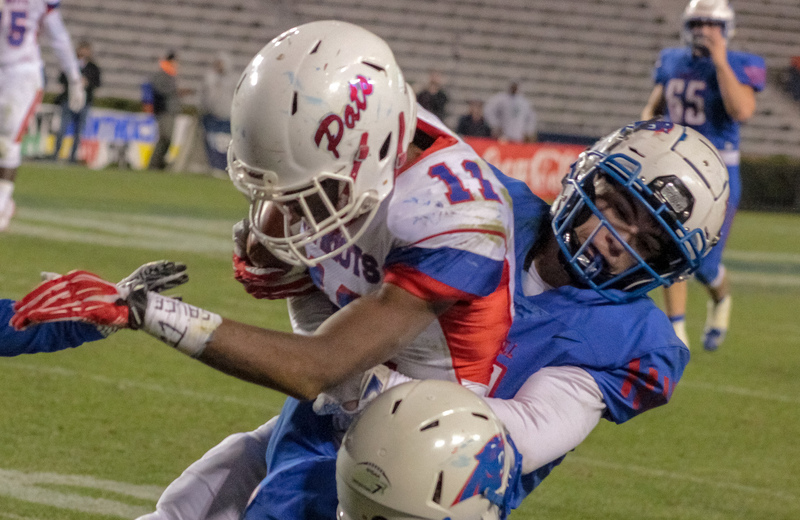 Smith also lead the state champs in tackles with 17. 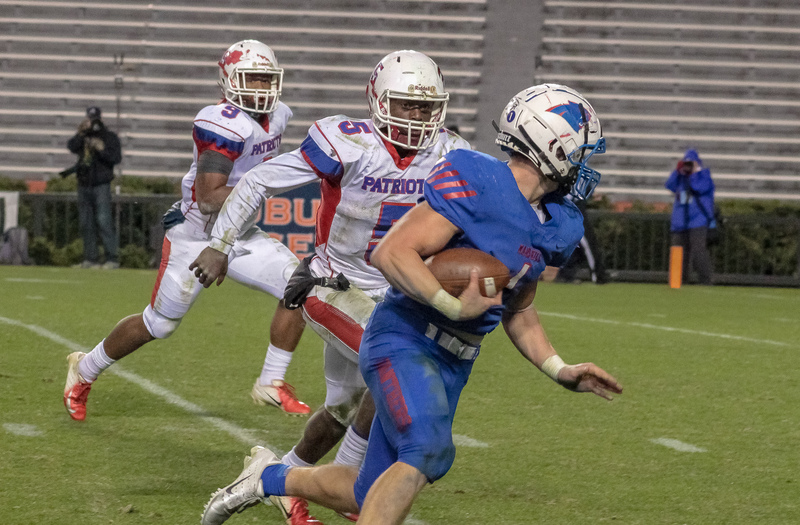 Over the course of the night Smith tied three individual 1A championship game records, most points scored (30), most touchdowns (5) and most tackles (17). 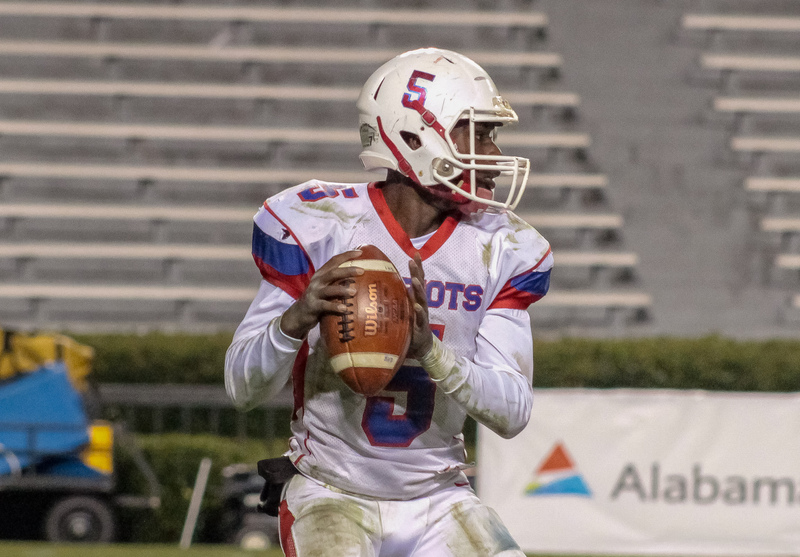 Linden quarterback Graderius Brown also engraved his name in the Super 7 record books. 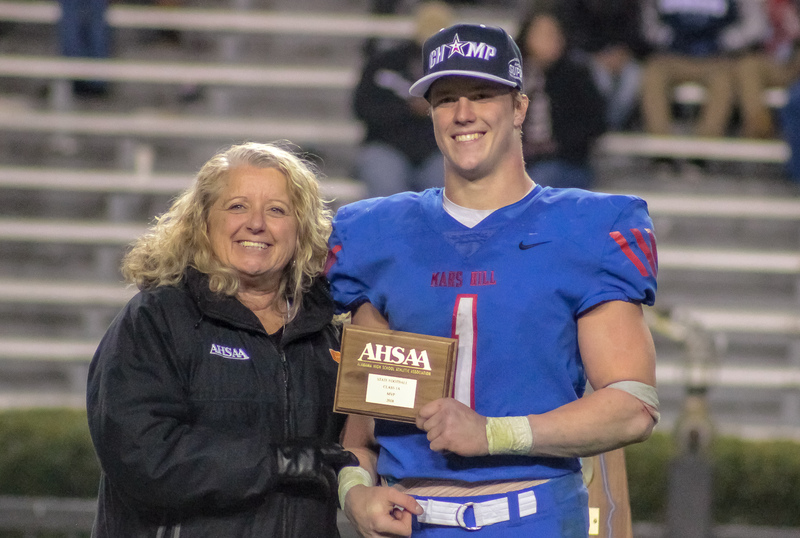 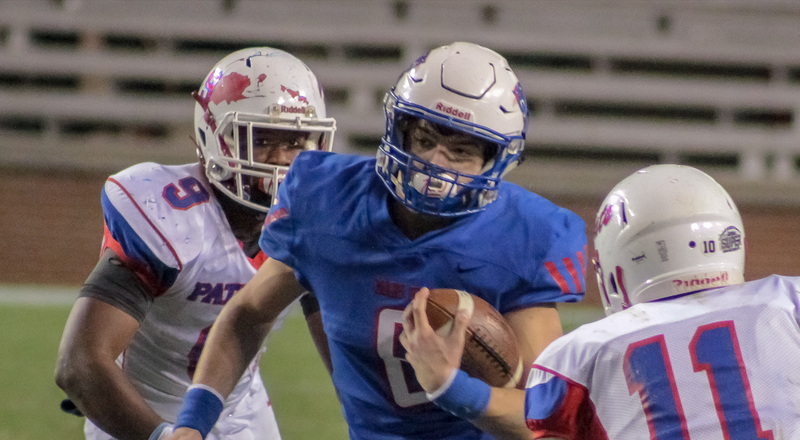 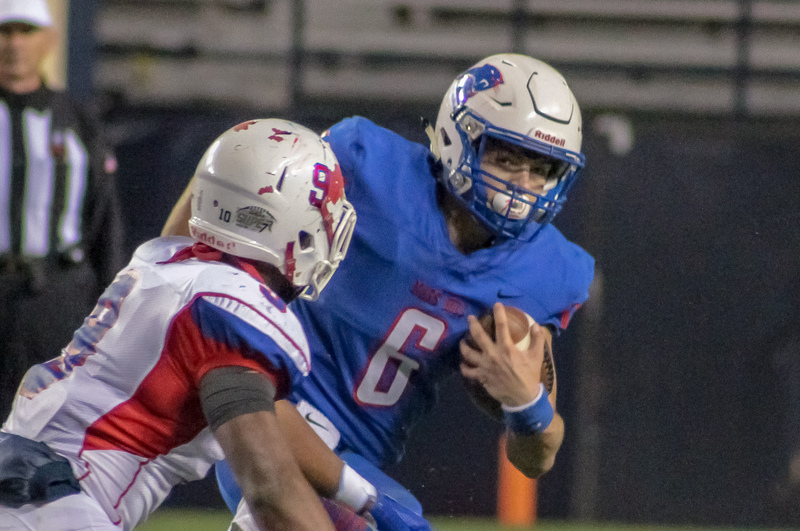 His 292 yard four touchdown passing performance set new 1A title game records for most passing yards, most pass attempts (44), most pass completions (22), and tied the record most TD passes (4). 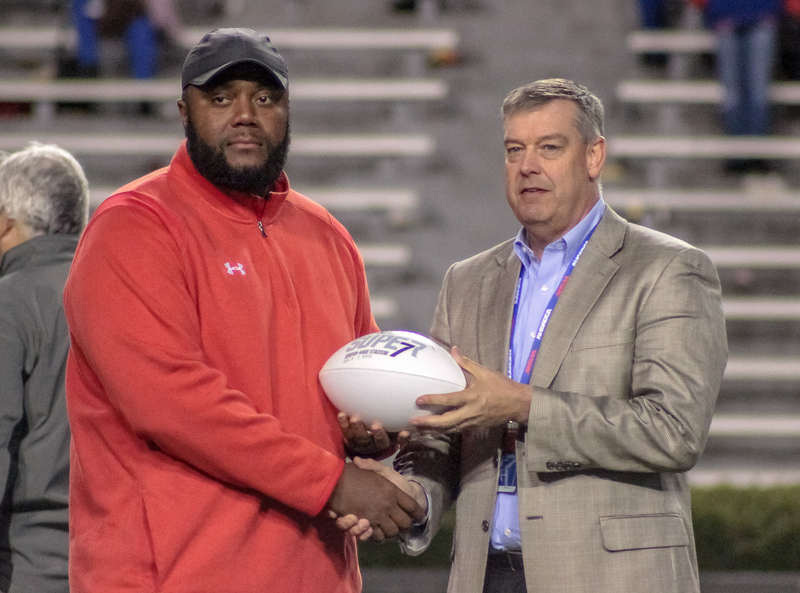 Not to be outdone, Brown’s favorite target, Kevin Green set new records for most pass receptions (13), most receiving yards (207), and most touchdown receptions (3).